The Rev. Cathy Brall, director of Field Education; the Rev. 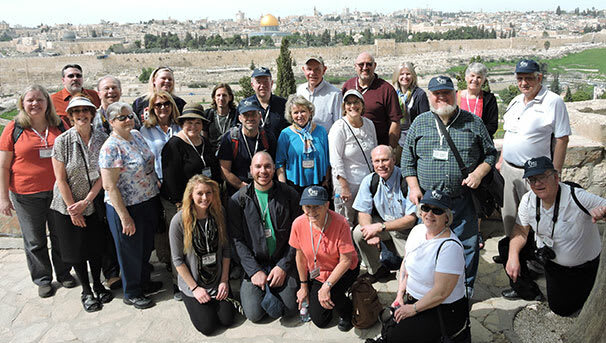 Todd Leach, associate pastor for missions at Shadyside Presbyterian Church; and Dr. Bob Ross, associate professor of global cultural studies at Point Park University, will lead trip participants to listen to the voices of Palestinians (Christians, Muslims, and others). Participants will hear about their quest for peace with justice, as well as what Palestinian Christians ask of U.S. Christians. Pittsburgh Seminary is preparing students for ministry in the way of Jesus. Watch as trip leader Cathy Brall explains why she's excited to lead students to Israel/Palestine.